If you have a Sony Xperia Z3 or an Xperia Z3 Compact, chances are you're already familiar with what it can do, but there are always ways to boost its abilities further. Here is our list of Xperia Z3 tips and tricks (which also apply to the Z3 Compact) to help get you on your way. Smartphones are starting to become more like MP3 players and iPods, not only because you can stream music over the internet, but also because they offer so many possibilities for optimising your listening experience. The Sony Xperia Z3 and Z3 Compact both offer a sound equalizer platform, which you can adjust manually, or choose a default setting such as jazz, soul or bass boost. You’ll find it under the Settings menu, then Sound settings, Audio settings, Sound effects and finally, Equalizer. Every time you press the home button on an Xperia phone, it brings you back to a default home screen. You can set it to take you to a home screen of your choice instead. To do this, simply long-press on an empty space on the home screen. This will zoom you out of the screen, giving you a bit of an overview, as well as some settings options. Press the button on the upper left corner that looks like a house and select the screen you want to have as a default home screen. Now you won’t have to swipe to it anymore. This neat feature is more than just a gimmick: instead of doing the old fashion letter by letter typing, try swipe typing. All you need to do is drag your finger across the screen from letter to letter, and even if you aren’t precise, the system will pick up what you are trying to type. Did you know that you can test the various software and hardware components of your device to see if anything is faulty? It’s easy: open the phone app and dial * # * # 7378423 # * # * . This will bring you to a new menu where you can select Service tests. Here you can do many things, such as check to see if the LED flash is working, for example. You can customize the notification bar so it suits your preferences in the Settings menu. Head into Personalization, then Status bar icons. Once there, you can choose what appears in the notifications bar and what gets the boot. LG’s Knock On was the envy of all other companies, which soon started to copy the feature, Sony included. To get it on your Xperia Z3, head into Settings and then select Display. Choose Tap to activate and you'll be able to unlock and activate the screen just by double tapping it. You won't even need to press the power button. Like most high-end phones, the Xperia Z3 has a glove mode, in which you can operate your phone while keeping your digits warm from the cold. Again, head into Settings, then select Display and activate Glove mode. This will make the screen more sensitive, so it can detect the softer touch from your gloved hand more easily. If you have vision problems, or just want to zoom into your screen, you can make use of magnification gestures. Go to Settings, then Accessibility and toggle Magnification gestures on. This will allow you to zoom into any screen. If you feel the need to toy around with the white balance of your screen, head into the Settings, then Display, and White Balance. Now you can tweak the bars and select the balance that suits your fancy. Everyday life is made up of ambient noise, and sometimes the microphone on your smartphone can struggle to cope with it all. You can adjust the microphone sensitivity on the Xperia Z3 and Z3 compact. Making it less sensitive will make it easier for the person on the other end of the call to hear you. If you are in a very quiet area, upping the sensitivity would help. To find this feature, go into Settings, then find Sound, followed by Audio Settings, and finally Microphone sensitivity. Once there, adjust the sensitivity to suit your current situation. Smart backlight control is the simple solution to making your phone display stay on while you're using it. Enable smart backlight control and your phone will be able to tell when you're looking at the screen for an extended time, and ensure that it stays on. Sony's Xperia devices can make use of themes to change how the icons and menus look. There is no downside to using a theme on Xperia, and it can make your device look really cool. What's more, Sony makes many of them available for free. Head to Settings > Themes and tap Get more themes to see what's on offer. Did you try out any of these tips for Xperia Z3? Do you have any of your own to share? Let us know in the comments. The new upgrade is so frustrating, i finally found a phone i love and now hate it. Give us an option to return to previous settings so can be functional again,please!?! Now a days Sony insist Android Marshmallow. But Sony Xperia Z3 doesn't work well in Lollipop and Marshmallow because these android versions are heavy and Z3 is not a Octa-core or 2 Quad-core Processor making a lot of Battery Drain. The solution is a Downgrade to Android Kitkat 4.4.4 using Flashtool to save battery endurance and life. I did the downgrade and its better !! The old Z3 mecanism are better !! Yep thank you Android for the update because you really screwed up my phone my suggestion to anybody if you have this do not do the upgrade. I really wish I would have never done the upgrade I enjoyed my phone tremendously the way it was and now I absolutely hate it. Never again will I ever upgrade the Android. Recently my z3 is playing up! I can hardly hear anyone speak when I am on a call. How do you change the colour of the buttons in the settings menu to red or any other colour? Does anyone have a good White Balance? I toyed around with mine and now nothing looks right. If you have messed with yours would you mind telling me the deafult? "This is from the app Swype, but..." There's the SwiftKey logo. LOL. But thanks for this though, I'll send this to a friend who uses a Z3. Oops, fixed now. :) Thanks for noticing. I run the update 5.1.1 of my sony Z3 a month ago, but there is a problem with the camera fonction once i push it, it came black without reaction, and also the home screen it stop the phone fonction, i was restored one time, but it doesn't work. I think it was a problem from the programming. 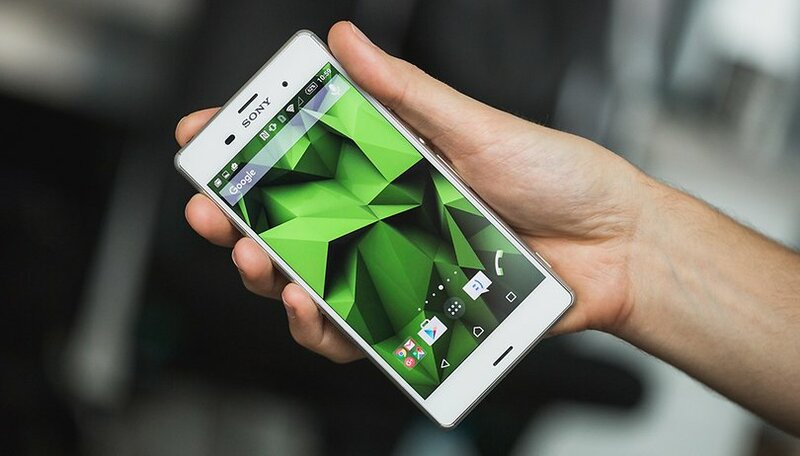 Sony Z3. 5.1.1 Build: 23.4.A.0.546 Communication problems, people cannot hear me when I call them. I am holding the device correctly. I dialled your *#*#7378423#*# and received a message on screen which said "Connection problem or invalid MMI code"
Checked my connections and all seem to be ok. Need to check out mic diagnosis. Can anyone help please. You missed 1 more asterisk(*) after the hash key(#). It's suppose to be like *#*#7378423#*#* then call. Thank you very much, that now works perfectly. :-) And the tests were a success also. As a note I have found this problem tends to be happening after using the 'throw' feature to watch a film on my Sony Bravia. If I restart the phone afterwards my phone contacts can then hear me when I call. Strange I know but I will keep a note and update if this proves to be the culprit. With respect, and thank you again for your help. J.
I roboform on my Sony Xperia z3 dual sim phone. Any time i look up something in Google in opens up roboform as my home page. I have uninstalled roboform and now it stays with Google any thoughts please.